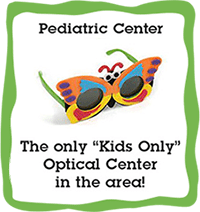 Cabarrus Eye Center, P.A. has an immediate opening for a part-time OR full-time Surgical Scrub Technician in our Eye Surgery and Laser Center. No call duty or weekends, some Fridays off after orientation period. Surgical technologist degree required. Previous experience preferred. CNA certification a plus, or willingness to obtain. We primarily do cataract cases and oculoplastics 4 days per week. Looking for a team player to work with our excellent support team. Excellent benefits and work environment. Looking for a team-oriented individual with ability to work accurately at a fast pace. Attention to detail is most important. Excellent computer skills and experience in patient care preferred. Some PTO and option to participate in retirement plan. Independent practice with great work environment. Send resume to: Patient Services Supervisor, Katie.Weant@cabarruseye.com or fax to 704-782-1207.